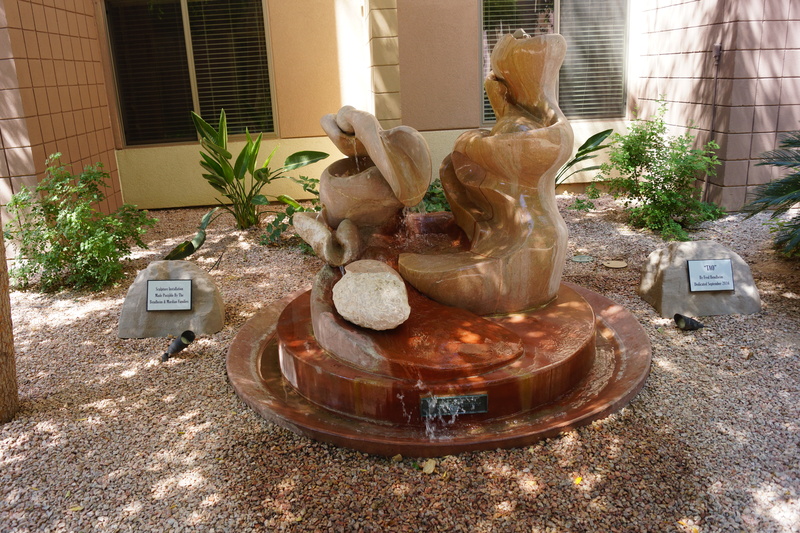 Beatitudes Campus is a senior living facility located at 16th Avenue and Glendale. They are a valued partner of 19NORTH and are sponsoring the November 3, 2017 Grand Opening of the 19NORTH Community Plaza. We are grateful for their support and involvement. I recently visited the Beatitudes Campus to interview Dr. Rod Bailey, the Senior Vice President of Marketing. He gave me an extensive tour of the facilities and answered my questions. Below is a summary of our conversation. How did the Beatitudes Campus become interested in 19 North? The Beatitudes’ residents brought 19NORTH to the administration’s attention. Many residents attended early 19NORTH meetings and were excited about the movement to improve local neighborhoods. 19NORTH has helped create the Beatitudes feel more informed and connected by providing regular opportunities to engage with nearby businesses, faith groups, government officials and neighborhoods. It is called Beatitudes Campus, because the goal was to make it look and feel like a college campus where people could further their education while living in community. The Beatitudes offers more than 100 different opportunities to learn and get involved. There are educational classes complete with class descriptions, teacher meet-and-greets, and an official registration day. 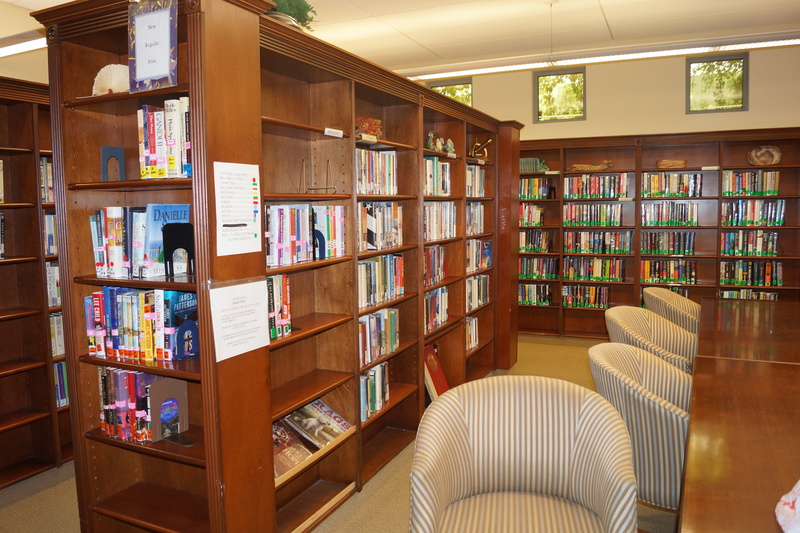 The classes are taught by residents from a variety of backgrounds and professions; they provide a wealth of knowledge and a lifetime of experience to share. The class offerings change regularly and are based upon what teachers want to teach, and what students are interested in learning. There are also clubs, committees and special interest groups of many kinds. The campus includes living facilities, multiple dining options, a bank, a gift shop, a coffee shop, medical services, a shuttle service, a chapel, various outdoor patios, a pool, a fitness center, library, classrooms, and many other amenities to make living on campus convenient and enjoyable. 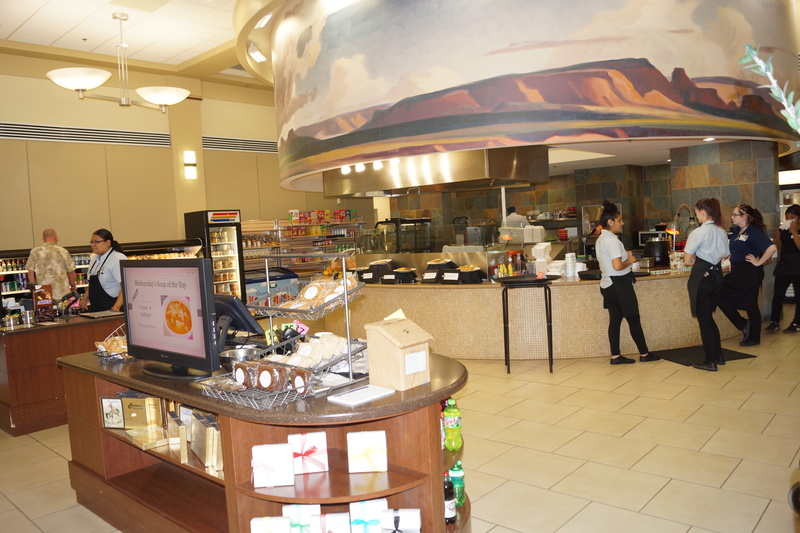 As an encouragement to get residents to socialize, eat together, and make connections, each resident is provided with a monthly B-card, a point-of-sale card which can only be used at any of the four restaurants on campus. They cannot exchange it for cash or for any other purchase. The average age of the residents is 84, and there are many residents over the age of 100. As a standard rule, the minimum age is 62, however there are some exceptions. As part of the campus tour, Dr. Bailey invited me to view the inside of a few newly remodeled campus apartments. 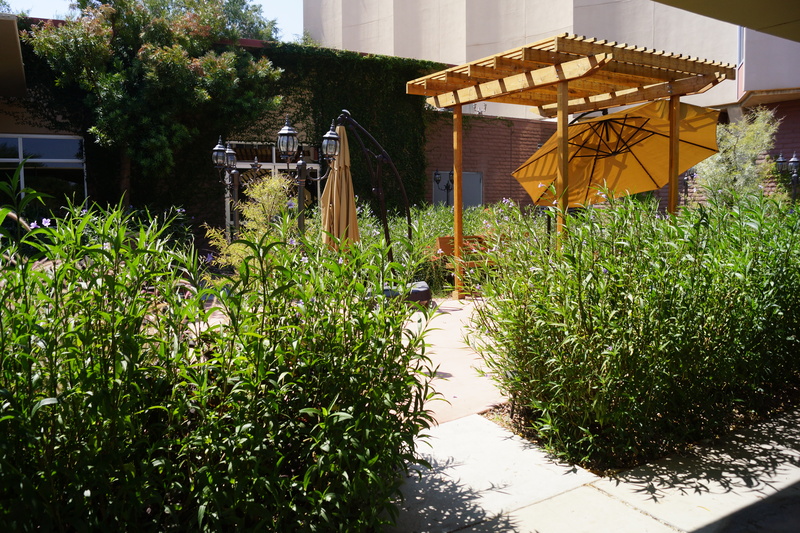 As we walked, he pointed out resident artwork lining the pathways, the rose garden in the shape of a figure 8 for memory support residents, and various shaded seating areas. 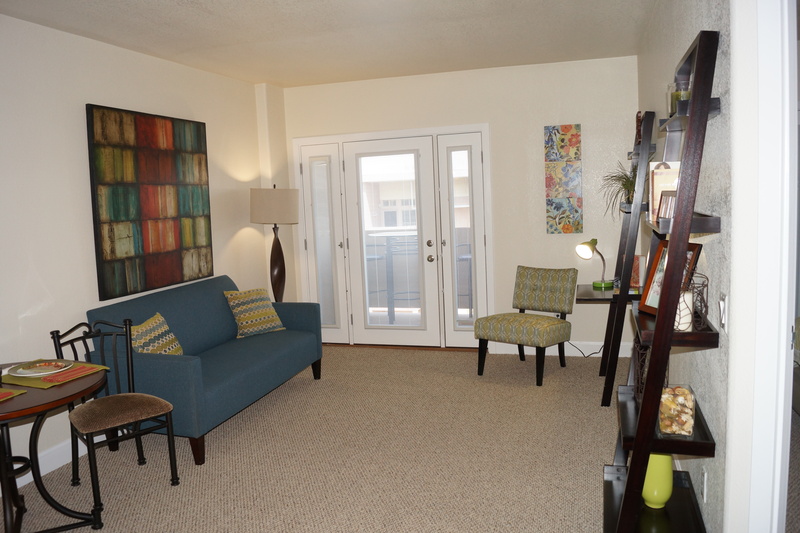 The Beatitudes offers a variety of living accommodations to meet residents’ individual needs. 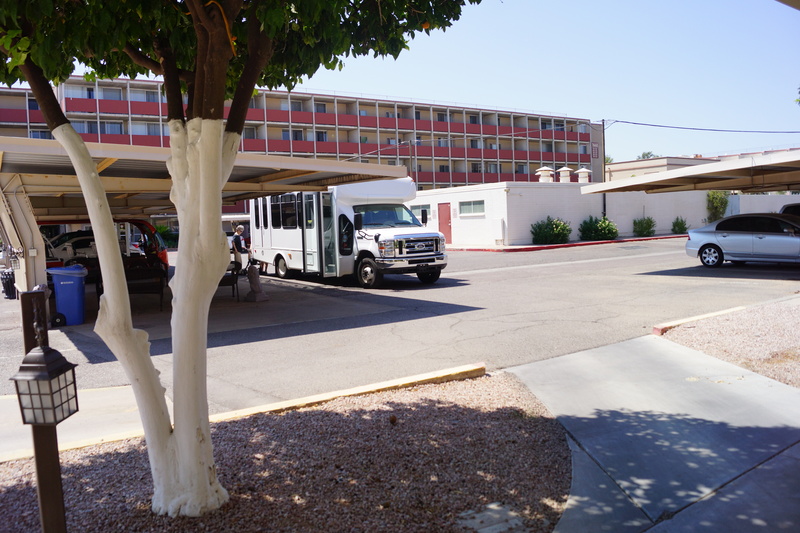 There are patio homes and rental apartments for independent living as well as various accommodations for assisted living, skilled nursing, long term care, and memory support. There are also home healthcare options for non-residents. 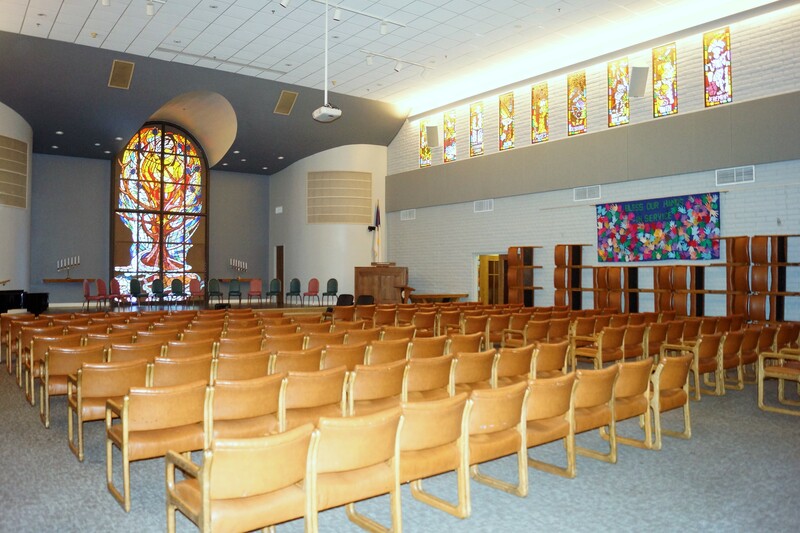 Beatitudes Campus is a not-for-profit ministry of the Church of the Beatitudes and a 501(c)(3) charitable organization. Any profit they make is invested back into the Beatitudes Campus or into the community. On August 22nd, Beatitudes Campus revealed their redevelopment plan to residents and staff. The plan is designed to enhance their community and serve more people as the demand for all-inclusive senior living grows. The first step of the plan is to add 33 new patio homes (their most requested living option). They expect the patio homes to be completed in the summer of 2019. Beatitudes Campus is planning to reach out to homeowners who live within five to ten miles of Beatitudes Campus to let them know about the new builds and creating a special priority reservation program, Be-VIP, to encourage interested individuals to make a small deposit to receive a numbered place in line to choose their favorite floor plan, location and view. The Beatitudes Campus is working hard to make the “third act” of life meaningful and full of purpose. Residents are included in various think tank committees and their feedback is greatly valued. The Beatitudes campus is currently in the process of building and refurbishing and making it possible for more people to enjoy their campus. The Beatitudes Campus has been involved with 19NORTH from its early beginnings and has been greatly supportive of our community improvement endeavors. We are proud to partner with them!